A sleek and simple design, superb materials, and excellent build quality put our Screen models in a class of their own – conventional glass and metal tables can’t compare. 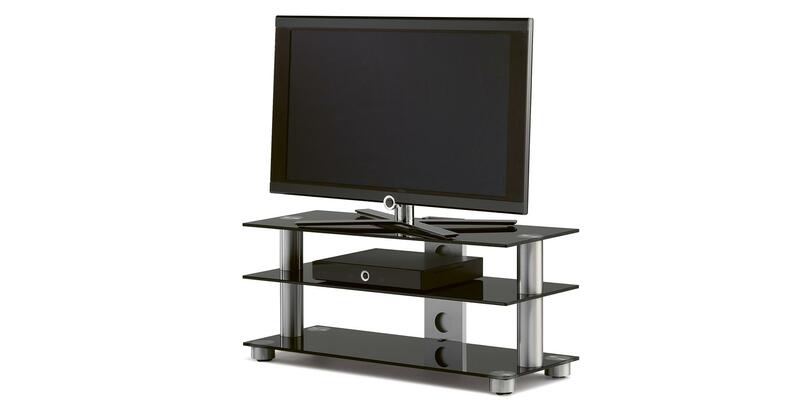 The Screen models feature concealed double castors, plus a cable duct at the rear. A sleek and simple design, superb materials, and excellent build quality put our Screen models in a class of their own – conventional glass and metal tables can’t compare. The glass plates are scratch-resistant, the aluminum columns finely sanded and sealed. All furniture has a sophisticated cable management. Small and mobile. The Screen models are open to everything, and special rollbar. High-glossy glass. Polished aluminum. The screen models have invisible double castors and a cable channel on the back. The S93 is 90.0 cm wide and has 3 glass levels. The S103 is 105.0 cm wide and has 3 levels of glass. The S133 is 120.0 / 140.0 cm (S143) wide and has 3 glass levels. Download the Screen product portfolio in pdf format.